Parents of the students of Mkalapa secondary school, decided to build hostel for their children. For each family contributed one sack of cement. This exercise was conducted in July. 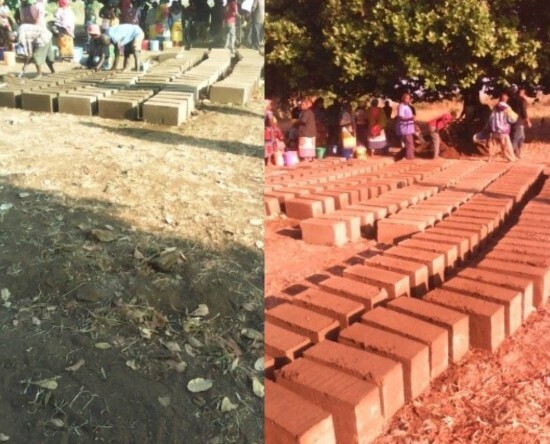 For two weeks, group of 50 villagers came to make bricks. Women brought water and men made bricks. A number of students did the watering of bricks for one week. The construction of hostel will begin soon after the bricks are ready. The parents themselves will do the building. When the hostel is ready, it will reduce the wastage of time for the students who stay outside Mkalapa and also will protect them from heavy rain during rainy season. For the time being, some students use two class buildings as hostel. Parents contribute food and some amount of money to pay cooks. We wish them God’s blessings for the good work they have undertaken.